Action Components | Appracatappra, LLC. Customizable UI and time-saving tools for iOS and Android development with Xamarin and Visual Studio. Purchase a year’s license of Action Components for iOS and Android development with Xamarin and Visual Studio for $199 per developer seat. Sign up for our product updates or newsletters and stay on top of the latest version releases, news, offers and discounts or upcoming events. Action Components not only work great but they look great too! Each one is highly customizable to fit the look and feel of your app. For iOS and Android development in C# and .NET using the Xamarin Platform and Visual Studio. Each control’s UI is drawn entirely in vectors allowing them to be totally resolution independent thus ensuring your mobile app looks its best on every platform and OS. Want to try before you buy? Download the fully functional, watermarked, unlimited, free trail version and discover what Action Components can do for you. In today’s world of ever expanding mobile devices, developers face a challenge when creating high quality, engaging and unique user experiences that not only look great but also work great across the multitude of phones, tablets, and even different operating systems. That’s where Appracatappra comes in. With our growing suite of high quality, cross platform Action Components for Xamarin and Visual Studio we do all the heavy lifting for you and allow you to focus on making your mobile app great. Our components are designed to allow for the maximum of code sharing between Android and iOS mobile apps, all while rendering in the native theme of the OS they are hosted in. Our components can quickly be added to your mobile project with a minimum of code, making it easy to add high-quality, professional features and functionality to your mobile applications. 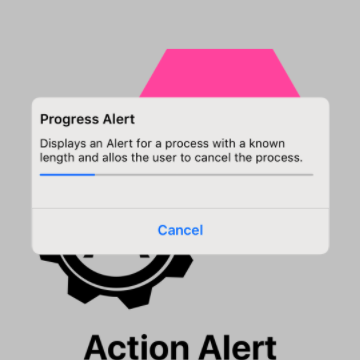 Action Alert is a highly customizable, cross-platform alert and notification system for iOS and Android that makes it easy include images, activity indicators, progress bars, and interactive buttons to a notification, while providing for a maximum of code reuse across platforms. 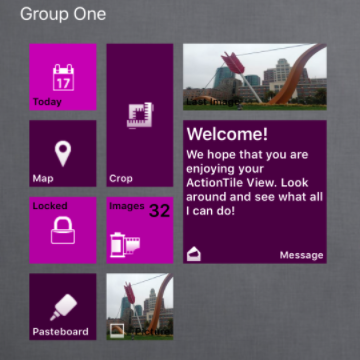 Action Tiles provides a highly customizable, cross-platform tile collection manager for both iOS and Android that allows you to organize several different types, sizes and styles of tiles into collections of groups that the user can scroll through and tap to interact with. Action Tiles support multiple built-in animations and near limitless styling options. 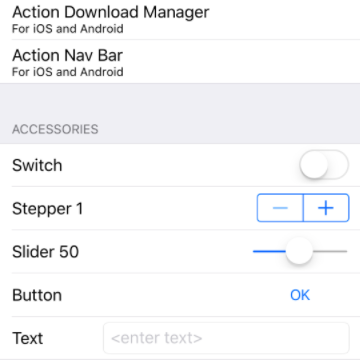 Action Slider is a custom slider control designed to operate like the brightness and contrast sliders built into the iPhone Control Center. Action Slider contains properties to customize its appearance including the border, body and fill colors. 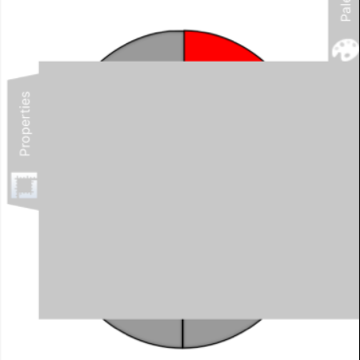 Additionally, an optional icon can be displayed at the bottom of the control. Action Color Picker provides a highly customizable, cross-platform graphical color selection system for iOS and Android. 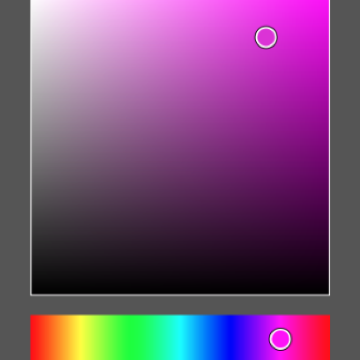 With Action Color Picker you can present the user with the currently selected color, allow them to select the desired hue, then change the saturation and brightness of that hue, all with a minimum of code. 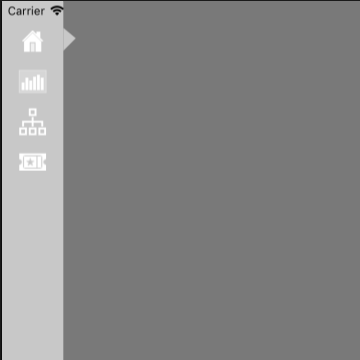 Action Tray is a dockable, customizable, slide-out, tray view controller for iOS and Android that can be attached to the top, left, bottom or right sides of the screen. You can place individual Action Trays along any edge of the screen or place several Action Trays together and attach them to an ActionTrayManager to control them as a group and use them like palettes or menus. 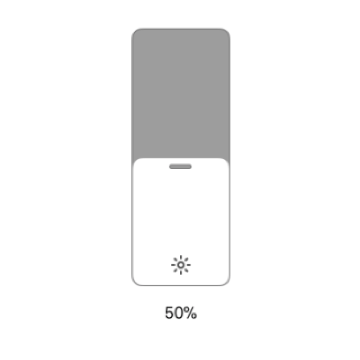 Action Nav Bar is a left-side, icon based, customizable navigation strip and view controller for tablet based iOS and Android devices that supports several different types of user definable buttons that can be added to the Top, Middle or Bottom regions. Action Nav Bar automatically handles the spacing and placement of buttons within the regions and responds to orientation change events with smoothly animated transitions. 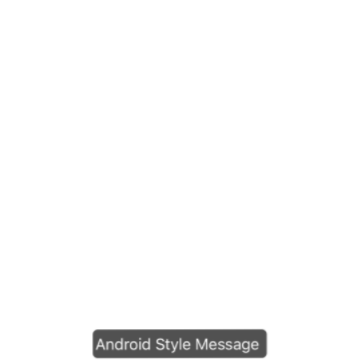 Action Toast is simple, quick, single line popup notification system for iOS in the style of Toast for Android. Action Toast implements the same calling structure and styles as Toast for Android to assist in cross platform development. Action Table is a custom Table View Controller for iOS and custom ListView for Android that supports a range of features that allow you to create complex Table/List Views quickly, all with a minimum of code. By implementing the RequestData event on the Action Table’s dataSource property you can quickly populate any Action Table without having to create custom classes. Action Download Manager handles the downloading of one or more files from the internet using either HTTP or FTP protocols. 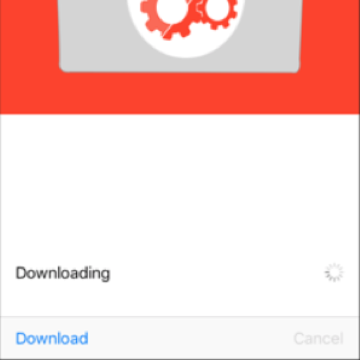 All downloads take place in a background thread so your mobile app’s interface remains responsive. Action Download Manager provides several events for both the overall batch and for individual files that can be responded. 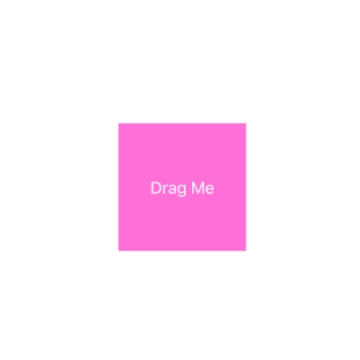 Action View is a collection of custom view controls and helper methods for iOS and Android that take the grunt work out of common user interface tasks. Create stunning experiences with easy by using Action Views directly or use them as the basis of your own custom controls. The Action Component Developer center provides a wealth of information and sample apps to help you get the most out of the components. That’s why each tool in the Action Components suite has a fully documented API, with comments for every element included. 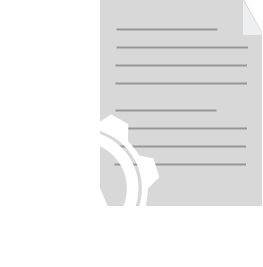 Check out our API documentation to discover every feature that Action Components have to offer. Can I use Action Components on multiple projects? Yes, you are free to use our controls on as many mobile apps as you like. We do not place any restrictions on how many times you can download or use the components, nor do we limit the number of devices that you can install our components on. Are Action Components royalty free? Can I install Action Components on multiple development machines? The short answer is yes, you can install your copy of Action Components on as many development machines that you own. That said, Action Components are sold on a per developer seat license.  If you have multiple developers, each one will need to purchase their own individual copy of the components. Discounts are available on multi-seat purchase, please contact sales for more details.  What does a year's subscription to Action Components provide? Action Components are sold on a yearly license per developer seat. During your subscription period, you’ll recieve any updates or bug fixes released during the year, free of charge. Additionally, you’ll recieve any new UI control or time-saving feature added to the Action Components suite, again, free of charge, while your subscription is valid. Will my Action Components stop working if I don't renew my license? No, when you purchase a license to use Action Components, they are yours to keep forever and you can use them in as many projects as you like, royalty free. Your components will not stop working when your license expires and you will still be able to include them in new projects. However, you will no longer receive any new bug fixes, updates or feature enhancements so an update to iOS, Android, Xamarin or Visual Studio could potentially break compatibilty with your component version.